Terry Finley, author of; Love Stories? and The man in the Trees: (and other Short Stories), discusses his views on reading from a writer’s point of view. Which one do I love more: reading or writing? First, I wish I had (took) more time to do both. Reading is essential to writing. A writer must stretch to write better than what he reads. A reader must stretch to get the most from what the writer states. A writer who does not read is not much of a writer. Second, I love to read. I enjoy adventure authors: Jack Higgins, Ernest Hemmingway, Clive Cussler, etc, etc. I get high on closing my eyes and seeing myself in the story. I hear the boat motor. I smell the smoke. I taste the coffee and the ice cream. I feel the sand and the heat from the sun. I sense the fear and urgency. I love the good guys, and I hate the bad guys. I love to win, and I dislike with a passion to lose. Third, I love to write. I am the god in a world of my creation. However, most of my stories never end the way I thought they would; the characters take on lives of their own and write their own stories. Still, by far, it is my story. I am Jack Higgins, Ernest Hemmingway, Clive Cussler (and others of my heroes). I am a man of my own making. I am my very own hero. I create the boat motor, the smoke, the coffee and the ice cream, the sand, the sun, the fear and urgency, the good and the bad guys. I always win, with a passion. Last, my personal goal is to write the perfect short story. I plan to retire from my JOB in a year and a half. I have already written fifty short stories. I am almost through my own self-paced apprenticeship. If I can become half the writer my writing champions are, I will be a good writer. Then I may be a great writer, and then I have a good shot at writing the perfect short story. While I love to read, I suppose I love to write more. Thanks for your interest in my interests. This week’s installments includes quite a variety of books. Wonderful pictures, and dessert ideas. The recipes look easy to follow, so I’m going to try making Irish Blue Crackers today and see how well I do. Two were found at Kepler’s Books Inc, and the other was a recommendation. 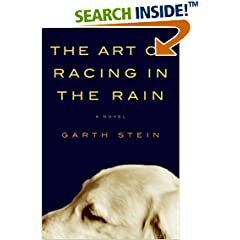 Garth Stein’s third novel, The Art of Racing in the Rain, is a uniquely told story through the eyes of the ever loving and ever loyal dog Enzo. Chapter one begins with Enzo in his adult years, knowing that he will be passing away soon, and thus begins to sort through his life, from being a puppy, well into his old age. When Enzo is a puppy, he is adopted by Denny Swift. As Enzo develops a tight-knit bond with Denny, we see their relationship expand as Eve joins the picture and eventually little Zoe. Enzo’s instinct kick in when he can sense that something is not right with Eve. Enzo can smell the brain cancer long before anyone else in the family, but is unable to communicate with this owners to send them a warning. Enzo is an incredibly philosophical dog, obsessed with TV and racecars. Denny is a professional racecar driver and often has to leave the family for weeks at a time to enter a race. This, among other reasons, breed much animosity between Denny and his parents-in-law. Once Eve’s brain cancer is apparent, and medical treatment has begun, she is taken home to her parents for her final months, and at her parent’s encouragement, Zoe remains with his mother and grandparents, leaving Denny and Enzo on their own. After Eve’s death, begins a downward spiral for Denny as Eve’s parents bitterly fight to retain full custody of Zoe, leaving Enzo with little to no communication or visitation rights with is own daughter. Throughout all his ordeals, Denny always has Enzo by his side, offering support and unconditional love. Through Enzo’s eyes and hears, we see and learn more about human nature, instinct and morality. I don’t think this story would have worked as well if told through the eyes of a human narrator. There are frequent comparisons made to racing cars, and racecar drivers that highlight Denny’s personality. “Racing is about discipline and intelligence, not about who has the heavier foot. The one who drives smart will always win in the end.” (p178). Scattered throughout the book, certain chapters are devoted just to Enzo’s analysis of certain racing tactics or techniques. Often times, these explanations parallel emotionally what Denny is going through with his struggles with his wife’s cancer, and his custody battles with his in-laws. Denny and Enzo constantly watch tapes of Denny’s races, learning from mistakes with Denny constantly explaining the mental endurance of a driver. This endurance, this ability to predict your opponents moves, to see one lap ahead helps Denny with his custody battle against his in-laws. Since the story is told through Enzo’s side, we see only glimpses of human communication and with Enzo’s keen sense, we see humans for what they really are. A dog’s natural instinct is far more advanced than humans. Dogs can read people better, I think. They are more attuned to unspoken emotions and are aware of an unbalanced and unhealthy environment. This is one book that I could not set aside. The story is smooth, the characters are either lovable, or deplorable, and Enzo is an amazing narrator, making references and connections to pop-culture, making astute philosophical and psychological assessments of the humans around him. The book is endearing because of the detachment from human emotion. We see things in a black and white, good or bad way that dogs do. 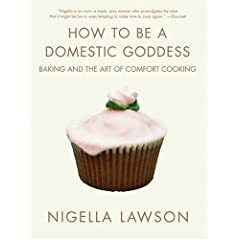 Although I checked this copy out from my library, I think I will be making a pit-stop at my local bookstore to pick up a copy of this book for my bookshelf. 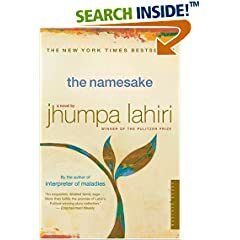 It seems like most people have probably already either read the book, or seen the movie, The Namesake, by Jhumpa Lahiri. In that respect, this is also a story well known just by the content. A story of culture-clash, of two generations struggling to find an identity in America. Substitute just about any other ethnicity for Bengali, and this could very well be your life story if you are a second generation immigrant to the US. Although I wasn’t born here, I came to this country at an age young enough to be able to adopt all the “typical” American behaviors and characteristics that were not the norm in my parents eyes. Teenagers have a hard enough time to begin with trying to figure out their lives, throw into the mix the identity crisis of culture, and its a bona-fide recipe for angst and confusion. As the central focus of the novel, Gogol Ganguli is a representation of his parents dream of the US, of their future. While his parents still tightly cling onto their Bengali past, Gogol struggles to break free in anyway he can. Despising the Russian name bestowed by his parents, he changes it to his original good name, Nikhil once he turns eighteen. What I enjoyed is that the author continued to call him Gogol throughout the rest of the book. Gogol never quite acclimated himself to become Nikhil, his only alternative persona from Gogol. Gogol was named after the Russian author, Nikoli Gogol. Gogol’s father, Ashoke, was reading a book of Gogol’s (the author) short stories, when his train flew off the tracks, killing hundreds and dangerously wounding others. It was because of the book in his hand that Ashoke was found in the rubble and his life was saved. Gogol, (the son) never understood the relevance of his name until after he had graduated from Yale and was well into his career as an architect. I think this story helped Gogol with his acceptance of his Bengali life. Since I’ve seen the movie a few times, the book felt a little slow for me. I liked that the movie condensed Gogol’s angst and cultural confusion, but I enjoyed how the book shed light on some of the smaller characters. In both the book and the movie Gogol’s sister, Sonia, has an incredibly small role, but Ashima is given more freedom and strength in the movie. Constant connections are made between Gogol’s love life, and that of his parents. Gogol rushes into his future to constantly become something he’s not, always unhappy with who he turns into. His parents are in limbo between their past and their present trying to make sense of the their lives and find their own place. It is also after his father’s death, when Gogol finally begins to find happiness with himself as Moushumi, his wife, become the focus of the story with her internal struggle to be a “proper Bengali wife” despite her aspirations to be something, anything, else. Since I try to stay away from politics as much as possible, I’m not one to read all the millions of books being published about today’s political landscape. My good friend over at the The Cynical Universe, has graciously offered to a review a book written by Republican Ron Paul. Let me start out by saying, for the sake of openness, that I would currently identify myself as a Democrat. I am pointing that out because it would probably surprise some people that I was reading a book written by a Republican Congressman from Texas, Dr. Ron Paul. Contradictory as this may seem to some, if you take the time to read the book, you’ll understand why in fact this is neither surprising nor contradictory. The Revolution: A Manifesto is not a book about mere politics or positions. The book transcends political party and enters a realm rarely talked about or discussed in the mainstream media: freedom, our constitution, and more importantly, the lack of respect for both which have crept into our lives over the years. Dr. Paul’s book is dedicated to the message of freedom and the importance of our Constitution. 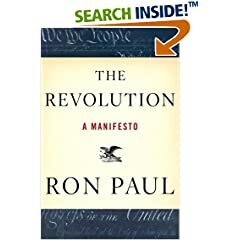 As a result, the book is a concise 173 pages packed full of examples and anecdotes about how so many of our Constitutional rights have been slimmed down, shaved away, and in some cases, removed altogether, and Dr. Paul points out the ways that government- which should assist the people- is failing many people in many ways. Some of the examples Dr. Paul cites include America’s foreign policy and her global military presence, economic woes ranging from inflation to increased taxation, and an encroachment on civil liberties by means of domestic spying, extraordinary rendition and torture. In some ways, this book is not for the faint of heart, though I would recommend that any American who is concerned with the state of the country as a whole pick up this book and give it a read. Dr. Paul makes an honest effort to open up a genuine dialogue about the issues facing America today and goes one step further by offering his ideas on how to fix these problems. The book concludes with a blueprint, if you will, for the next President- whoever that may be- to help the citizens restore the republic to its Constitutional roots. Maybe you’ll agree with some of Dr. Paul’s ideas, and maybe you won’t, but if you go cover to cover I am confident that if read with an open mind, readers will come away with a renewed sense of responsibility- as a citizen- to protect the freedoms that may be slipping through out fingertips. Castaway Kid is an emotionally charged and beautifully written autobiography of Rob Mitchell’s life in Chicago from his youth to his adult years. Abandoned at a the Covenant Children’s Home when he was just 3 years old, Rob was one of the few kids that spent their entire lives in the home without going into foster care. Although too young to understand what was really happening, Rob had plenty of hope that his mother would one day return for him, or that his beloved grandmother Gigi, who would visit Rob every Saturday, would take him in. As Rob grew older, he grew more disillusioned and less trustful of those around him. Nola, the houseparent for the Little Boys became a mother-figure for Rob during his early life. Rob’s mother would make periodic visits, but they were chaotic at best and only severed the gap between herself and her son. Dealing with bullies in the home, and family did not, or could not, take him in, Rob built a lot of rage. He lashed out at other students, “Townies”, who had real parents to go home to. He rebelled against his own family in Atlanta by growing his hair long, and wearing a beard, two things considered taboo in the 1950’s and early 60’s. Rob became a womanizer, and also avoided all the religious influence the group home tried to instill in the boys. It wasn’t until he went to a summer camp, where he met one girl that seemed to turn his life around. Full of peace and patience, she did not judge Rob and she tried to guide him towards giving faith another try. The second half of the book focuses mostly on Rob’s struggle to build a connection to God and find a purpose for himself. His inner struggle with building this relationship with God starts out just as difficult as Rob’s attempt to build a relationship with his estranged family members. His faith and transformation from a rebel child, to a moral man happened when he went on a year long missions trip to Africa. Rob Mitchell’s story is heartbreaking, but his endurance and determination to make a better life for himself is honorable and inspiring to read. Rob finally found happiness and love, and now has a family of his own. 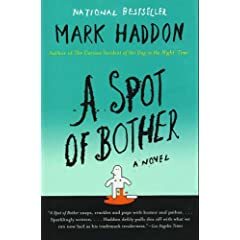 After having read The Curious Incident of the Dog in the Night-Time by Mark Haddon my expectations for his second novel, A Spot of Bother, where quite high. I am happy to say that I was not in the least bit disappointed with this book. George Hall is out shopping for pants one day when he sees a slight discoloration on his leg, the “spot of bother” which somehow starts the downward fall of George’s sanity. George is 61 and newly retired, with quite the dysfunctional family that seems to be unable to communicate even with the simplest generic conversation topics. His daughter Katie announces that she will be marrying Ray, a man her parents do not approve of. Jaime, his homosexual son, keeps minimum contact with his family. Jean, George’s wife, seems to find her life at a standstill and finds comfort in the arms of another man, David. 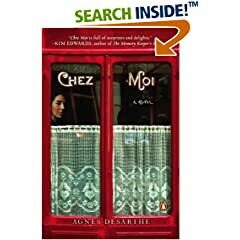 Each chapter is told through the eyes of a different character, so we able to see how they misunderstand each other’s intentions and never properly explain themselves or their actions. At the heart of the story is George. A quiet, elderly man who tries to “go insane politely” as the back cover synopsis so cleverly put it. George keeps the lesion on his leg a secret from his family for as long as possible, even keeping his mental breakdown a secret. This is not a difficult task to accomplish as each member of the family is wrapped up in their own troubles and tend to forget about their ailing father/husband. “His mind was malfunctioning. He had to bring it under control. He had it done it before. He had shared a house with his daughter for eighteen years without coming to blows, for starters. When his mother died he went back into the office the following morning to make sure the Glasgow deal did not fall through.” This glimpse into the early stages of George’s mind highlight his determination to not let his family or friends know that there was anything wrong with him. To help himself cope, George started taking long walks, drinking much more regularly and talking more than ever to his wife. George’s newfound dependence on wife ultimately becomes the major snap in his brain when he finds her in bed with David after a particularly troubling mental experience at the train station. Haddon somehow manages to interject a stealthy sense of humor in what would otherwise be a completely tragic story. Jaime, however detached from his family, seems to be glue that keeps his family from completely shattering. The family moves together in an ebb and flow of drama as their individual lives collapse at the same time. There were a few squeamish moments of the book, particularly centering on George’s final mental snap in the family bathroom. Haddon has a steady pace, keeping most chapters under 5 pages and keeping a steady rhythm of alternating between characters. Haddon’s wit keeps this book from falling under the Hallmark or Lifetime style of a cheesy family melodrama. It is neither cheesy nor superficial, but a touching and comic tale of family trying to keep it together. 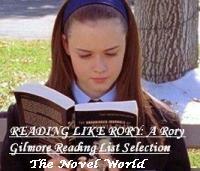 DeweyMonster is wisely using this week’s Week Geek theme to help sort through her To Be Reviewed list. 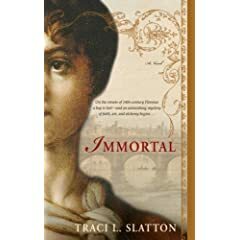 My task is to choose a book and ask three questions about this book. This is a book I see in bookstores and at the a library quite frequently but never got around to reading. I’m more interested if the author actually has something valid to say, or if he’s just blowing a lot of hot-air. Q1) How do you feel about the author’s point of view that video games, television shows, and other forms of popular entertainment are not damaging to American’s moral development? Q2) How does he validate his opinions? Where does he find evidence to back up his claims? Q3) How do you think this book applies to your everyday life? Has it changed how you feel about your time spent watching TV or letting your kids play video games? This is a very fun concept from MizB to post each week about new books recently discovered. Working at a library, I see new books all the time, especially since our New Books shelf is in a constant state of needing to be restocked at least every hour. “At the start of this brilliantly unconventional family memoir, David Gilmour is an unemployed movie critic trying to convince his fifteen-year-old son Jesse to do his homework. When he realizes Jesse is beginning to view learning as a loathsome chore, he offers his son an unconventional deal: Jesse could drop out of school, not work, not pay rent – but he must watch three movies a week of his father’s choosing. Week by week, side by side, father and son watched everything from True Romance to Rosemary’s Baby to Showgirls, and films by Akira Kurosawa, Martin Scorsese, Brian DePalma, Billy Wilder, among others. The movies got them talking about Jesse’s life and his own romantic dramas, with mercurial girlfriends, heart-wrenching breakups, and the kind of obsessive yearning usually seen only in movies.